All of the updates performed at Chasseresse will be listed here. The latest update will be at the top of the page and will descend in chronological order. Added the Mass Effect section, for those of you unfamiliar with the series! I've also editted several pages to make the content more coherant. These include The Female Turian, Omega's Talons, and The Pirate Queen. I also added a few more terms to the glossary and shifted the layout slightly so there'd be less initial scrolling on page load. 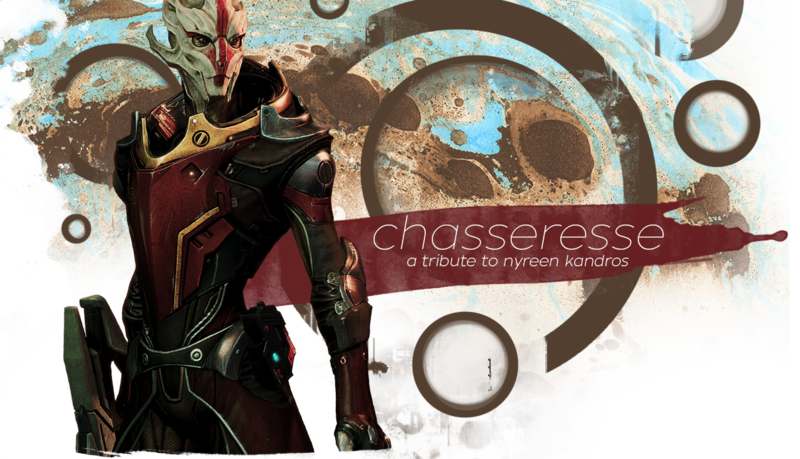 After two years, I've finally gotten Chasseresse online! Most of the content was created two years ago but I spent some time today creating extra content for the site. It was a lot of fun making icons!